Hi! I'm a booktrovert who loves books and pizza. My main genres are Middle Grade & YA, I'm not a big fan of romance and I occasionally binge on manga and graphic novels. 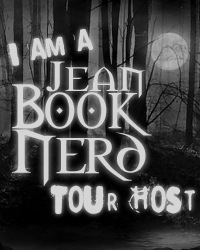 I’m back for week two of the blog tour! Review: This was a neat first book in a new series about teens with elemental powers! The book reads like a tv show and the illustrations bring the story to life. I have to say, Foster really got on my nerves BUY she mellows a bit towards the end and she is homeschool so she grew on me. Tate was a great character and I liked that he didn’t follow the football trope. My favorite character by far had to be Tate’s G-Pa, he really surprised me on one scene and his sidekick bugsy was adorable! I personally think the profanity was excessive and if it hadn’t been there I probably would have enjoyed the story a bit more. The pacing was relatively fast but I did find the romance way too rushed. I found the core four’s story/POV interesting as well in that they’re not completely evil. The elemental powers in this book are super cool and I definitely want to find out more about them. I liked the ending and I can’t wait for book two to come out! Enter for a chance to win 1 of 20 hardcover copies! Winners will be selected at random. Abbreviated Rules: No purchase necessary. Open only to legal residents of the 50 United States, the District of Columbia or Canada (excluding Quebec) who are age 13 years of age or older. Entry period begins at 12:00 a.m. (ET) on Sunday, February 24, 2019 and ends at 11:59 PM ET on Sunday, March 10, 2019. Void where prohibited. For full Official Rules, visit https://read.macmillan.com/promo/thedysastersblogtoursweepstakes. Sponsored by St. Martin’s Press, 175 5th Ave 10010. THE BOOK MAP!! I love book maps and this little one was no exception. Drest’s imagination: She literally imagines conversations with her brothers and draws strength from them in her time of need. Tig’s crow: I love animal sidekicks and can you blame me they’re awesome! The curious flight patterns of crows lead a teen computer programmer down a path of mystery and romance. Gin trusts logic a little too much. She even designs programs to decide what to eat and how to spend her time. All that changes when she’s paired with a new transfer student, Felix, on a computer modeling assignment to explain certain anomalies in the behavior of crows. Review: While the cover gave me major sci-fi vibes it definitely matches the book. I loved the combination of coding and crows that made this book very unique. Gin was by far the best character in the book because I related to her anxieties and quiet personality. Felix was a good character but I think the romance was a little too rushed. My favorite setting in the book was probably Felix’s giant house just because the aviary sounded so amazing. The story itself was fantastic in that instead of it just being about two nerds it turned into a mystery (/thriller?) that unearthed an unbelievable yet somewhat predictable truth. Overall I highly reccomend this book for coding and contemporary fans ages 15 and up. Susan Cunningham lives in the Colorado Rocky Mountains with her husband and two daughters. She enjoys science nearly as much as writing: she’s traveled to the bottom of the ocean via submarine to observe life at hydrothermal vents, camped out on an island of birds to study tern behavior, and now spends time in an office analyzing data on wool apparel. She blogs about writing and science at susancunninghambooks.com. – 1 Winner will receive a Signed Copy of CROW FLIGHT by Susan Cunningham. – 1 Winner will receive a $25 Amazon Gift Card.